As an athlete, you may spend just as much time preparing for training as you do in the gym or on the track. 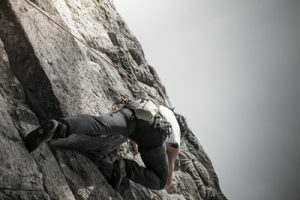 Meal prepping and ensuring proper nutrition, recovery practices, and researching new tips and techniques are all part of the serious athlete’s routine. Heart rate variability monitoring is one of the most effective (and scientifically researched) methods of hacking your body to deliver enhanced physical performance. Your heart rate is measured by determining the number of times your heart beats per minute. Similarly, heart rate variability measures the length of time between those heartbeats, and how much that length of time has changed compared to a previous measurement and/or your average measurement. Measuring your heart rate can tell you about the current state of your heart, and measuring HRV can lend insight to the overall state of your heart’s health. Using heart rate variability as a training aid involves more than just measuring your heart rate. How you interpret and use that information is crucial to a better athletic training routine. Voluntary nervous system—this controls everything we do consciously, including walking, running, and lifting. Autonomic nervous system—this regulates the bodily functions we aren’t always aware of, like breathing, digestion, heart rate, and blood pressure. Sympathetic nervous system—this system is best known for creating the “fight or flight” response in the human body. For example, if you are startled by a sudden loud noise, the sympathetic nervous system responds by increasing your heart rate and dilating your pupils, readying you to either fight a perceived threat or run away from it. Parasympathetic nervous system—because your body craves balance, the parasympathetic nervous system acts as a counter to the sympathetic nervous system. Following the above example, after being startled your parasympathetic nervous system would bring your heart rate down and restore you to a normal state of alertness. Enteric nervous system—not as well-known as the above two, this subset of the autonomic nervous system is responsible for some regulation of gut organs. The nerves of the enteric system surround the esophagus, stomach, and intestines. This is the reason why you may experience an upset stomach as a response to elevated stress. All of these systems and sub-systems working together determines the overall health of your nervous system, which is important for an athlete to maintain. Measuring heart rate variability can help you figure out the current state of your nervous system, and whether you should push yourself hard in the gym or give yourself a day of rest. 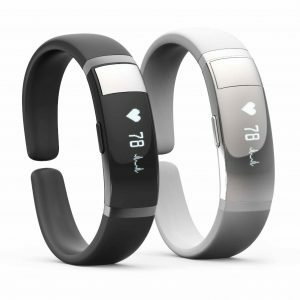 Okay, But What Is Heart Rate Variability? Heart rate variability is the measurement of the time between your individual heart beats, and how that length of time increases or decreases as a response to stress on the body. Most people tend to think that having a very consistent heart rate is ideal—in fact, a higher level of variability tends to signal better physical health. Having a higher HRV means your parasympathetic nervous system is functioning well, allowing you to relax and rest. A lower HRV could indicate that your sympathetic nervous system–the “fight or flight” response—is exerting too much control over your body, leading to elevated levels of stress and not enough recovery. A low HRV is commonly seen in overtrained athletes. It’s also a side effect of some conditions such as PTSD. A device designed to monitor and measure your HRV will typically give you a score between 0 and 100. This figure is a calculation based on the length of time between each heartbeat. To figure out the variability of your heart rate, you must first get a sense of your baseline. The best way to figure out your heart rate variability baseline is to measure your heart rate as soon as your wake up in the morning. After a few days, you’ll know your average resting heart rate. The day after an intense training session, your HRV score will typically drop. This is because you have subjected your body to a high level of stress. Once you are well-rested and your parasympathetic nervous system is “back in control”, your HRV score will rise again. Other things which could lower your HRV score are illness or emotional or mental stress. As athletes know, you don’t make progress during a workout—you make progress during recovery, which is why it’s so critical to understand how your body recovers. Your nervous system plays a major role in recovering from intense training. Weekend warriors or beginner athletes often make the mistake of assuming that working out more often is automatically better. While you should certainly keep a regular training schedule, a training session while your body is still in recovery mode will hinder your progress in the long run. Using your HRV data to determine ideal training days is easy. Once you have established your baseline HRV score, you can get a sense of whether or not your body has fully recovered from your last workout. A lower HRV score tells you that your sympathetic nervous system is still dominant in your body, and you have not recovered from stress sufficiently to benefit from training. On the other hand, a normal or higher HRV score tells you that your body is well-rested and ready to train. As your training progresses, your normal HRV score should trend upwards as your cardiovascular health and overall physical performance improve. The best, least invasive, and most accurate way to monitor heart rate for heart rate variation is via ECG biosensor-enabled wearables. NeuroSky’s integrated ECG biosensor solutions, including CardioChip™, are ideal for device manufacturers interested in helping athletes hack their bodies and improve performance with HRV wearables. For more information about our ECG solutions, get in touch with a NeuroSky ECG expert today. New biosensor-driven technologies are enabling wearable devices that capture and analyze complex cardiovascular bio-signals in ways never before possible. 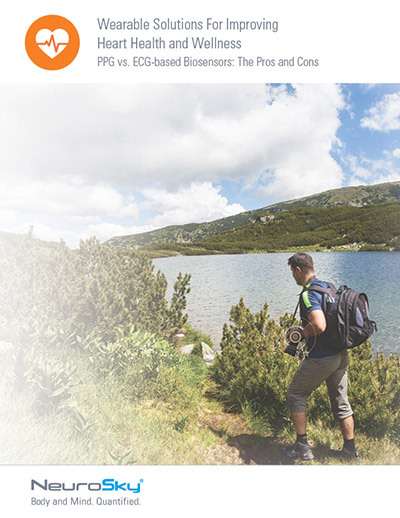 Download this whitepaper to learn the pros and cons of today’s principal solutions.